My copy of the Reflector, the Astronomical League’s quarterly magazine, arrived in the mail today, with announcements of two new observing clubs: the Binocular Double Star Club and the Analemma Club. This is exciting news for me. I’m always looking for new lists of things to look at, especially from home. My Herschel 400 project is chugging along, slowly, as I get dark-sky time, but I can’t get to dark sites all the time and I’m committed to observing from home. I really need structured observing lists or else I spend my driveway observing sessions checking out a handful of old favorites and then wondering what else to wonder at. Binocular lists are good because binocular objects tend to be bright enough that I can see them from Claremont with my 15x70s, and double stars are good because they punch through the light pollution pretty well and many of them are strikingly beautiful. I’ve already finished three binocular observing programs (Binocular Messier, Deep Sky Binocular, and Southern Sky Binocular), and I’m a bit over halfway through the observations for the AL Double Star Club and loving it. 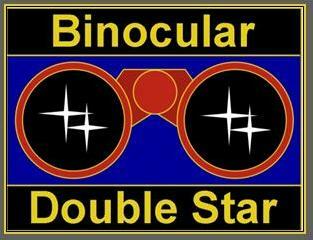 So a new club that combines binocular observing and double stars is right up my alley. Update Aug 1 2012: As I often do for AL observing programs I intend to pursue, I made up a blank logbook for the bino double star club. It’s free if you want to use it–you can find a link to the PDF on this page. All of this requires math–alegbra and trigonometry. 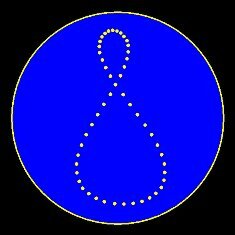 And in the Analemma Club, you have to first generate an analemma and then do that math; the list of four things to be calculated and sketched is taken from the Analemma Club page. Now, I realize that following the sun for a year so you can do math is not everyone’s idea of a good time. But I’ve always been fascinated by sky motions and I’m sufficiently interested in analemmatic sundials to have started a project folder for one at some point, so this club may be the kick in the pants I need to actually, you know, do the work. So, that’s why I care about these new clubs. Why should you care? Well, if you’re in the US and you’re a member of an astronomy club, you’re almost certainly an AL member already, so if you’re doing any regular observing programs you might as well send in your observations and get some bling. What if you’re not a member of an astronomy club, or not in the US? Well, if you find the observing programs useful, do ’em anyway. All of the requirements are freely available online, and although the bling is a fun perk, the real benefit is in learning your way around the sky, developing your observing skills, and most importantly, seeing a bunch of awesome stuff. As of this writing, the Astronomical League has 34 different observing programs (and 3 clubs that have no observing requirements), covering everything from Earth orbiting satellites to distant galaxy clusters. Several clubs require only naked-eye observations, several more require binoculars, and the vast majority can be completed with an inexpensive telescope. So whatever your available gear or level of experience, there is probably an AL observing program that would suit you. Go check ’em out. You are currently browsing the archives for the AL Analemma Club category.